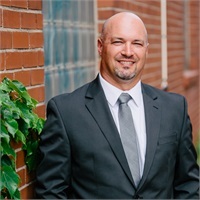 Jason Willenborg is a financial advisor with Premier Advisors LLC with more than a decade of experience in the financial services industry. He is passionate about working closely with families and developing strategies designed to help them grow and preserve their hard-earned wealth. He also enjoys working alongside his father, Marty, and longtime friends, Todd and Tony. Jason first started his career with Edward Jones, where he grew a modest practice as an investment representative. During these early years, he had the opportunity to build his experience and receive his securities licenses before joining Premier Advisors LLC. Outside of the office, Jason spends much of his time with his wife, Trisha, and their three children. In his spare time, he enjoys playing golf, coaching sports teams, and admiring comics.